Steph Jagger had always been a force of nature. She grew up emulating the men in her life—chasing success, climbing the corporate ladder, playing by the rules of a masculine ideal—and by all accounts, she was living “the Dream.” But it wasn’t her dream. While skiing with friends one day, the universe caught her attention with a sign: Raise Restraining Device. The words suddenly became a personal call to shake off the life she had built and start a search for something different—something more. Steph decided to walk away from the success and security she had worked hard to obtain. She took a second mortgage on her house, sold everything except her ski equipment and her laptop, and bought a bundle of plane tickets. For the next year, she followed winter up and down the mountains of North and South America, Asia, Europe, and New Zealand on a mission to ski four million vertical feet in a year. What hiking was for Cheryl Strayed, skiing became for Steph: a crucible in which to crack open her life and get to the very center of herself. Through this journey of body and soul, she came to understand how to be a woman, how to love, and how to live authentically. 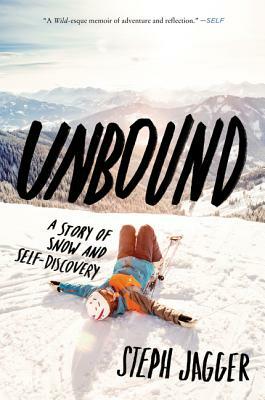 Electrifying, heartfelt, and full of humor, Unbound will inspire readers to remove their own restraining devices and pursue the life they are meant to lead.